Posted September 24th, 2016 by Mike Boyes & filed under Language Development, Language-Thought, Neuroscience. Description: From answering fill in the blank questions to be able to follow a conversation when you can hear every single word, we are actually quite good at dealing with missing information. We are not however doing without information that is missed at the sensation level, as our brain is finding the missing bits for us and filling them in. The question of how the brain actually accomplishes this task has not been heavily researched. The article below discusses recently published research that examines the role of the hippocampus in this important day-to-day life activity. 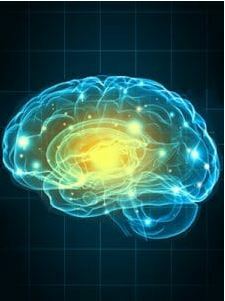 It also describes the techniques used in the research that made it possible to look at brain activity at the microsecond level, an accomplishment which is not possible using fMRI or other general brain scanning techniques. Source: How the Brain Fills in the Blanks of Language, Janice Wood, PsychCentral. Brain scanning techniques like fMRI’s (http://psychcentral.com/lib/what-is-functional-magnetic-resonance-imaging-fmri/) provide information about the general levels of activity of various areas within the brain over time and during the processing of various kinds of information. What the scanning techniques don’t allow us to do is to look at the microsecond by microsecond firing of neurons that are associated with the sorts of intense short-term searches of memory that are required if one is going to be able to quickly answer fill in the blank kind of questions or to continue to follow a conversation when the occasional word or phrase cannot be heard. The results of their research suggest that the hippocampus is much more actively involved in the processing of language that had previously been considered. The hippocampus has long been understood to be important in the processing of information into long-term memory but what we have not been clear on is the very active role that it appears to play in efforts to search for missing bits of meaning that would make it possible to answer a fill in the blank question or a follow and obscured conversation. In other words, rather than just being involved in processing short term memories into long term memories the hippocampus is likely also involved in making ‘real time” links between incoming information and the potential associations in existing long term memory and thus helping us figure out what is being said and what is being intended in the way of meaning when we are receiving incomplete information from out senses. From the perspective of the research discussed in the article linked above how are fill in the blank questions and following partially in audible conversations similar? How might it be that the role of the hippocampus in memory processing might be related to the role that this research suggests it also plays in language processing? How is the technique for gathering brain-based data used in the study described above different from the use of brain scanning techniques like fMRI’s? Can you think of any other brain areas that might be better understood if this sort of technique were used to look more closely at their contribution to human information processing? Piai, V., Anderson, K. L., Lin, J. J., Dewar, C., Parvizi, J., Dronkers, N. F., & Knight, R. T. (2016). Direct brain recordings reveal hippocampal rhythm underpinnings of language processing. Proceedings of the National Academy of Sciences, 201603312. Riès, S. K., Dronkers, N. F., & Knight, R. T. (2016). Choosing words: left hemisphere, right hemisphere, or both? Perspective on the lateralization of word retrieval. Annals of the New York Academy of Sciences.